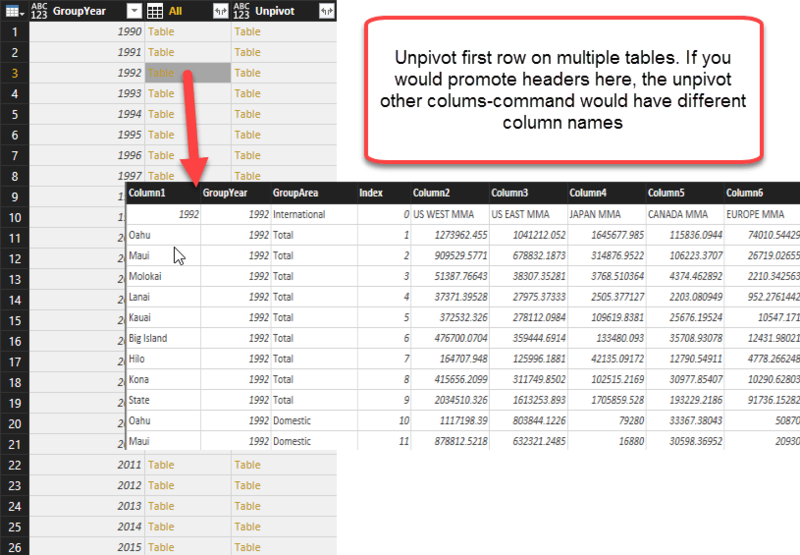 Today I’m sharing with you one of my killer M(inja)-strikes: Unpivot a table by simply passing the number of columns that shall remain (at the left side of the table) and the number of rows (who hold the header-information) as parameters to them. 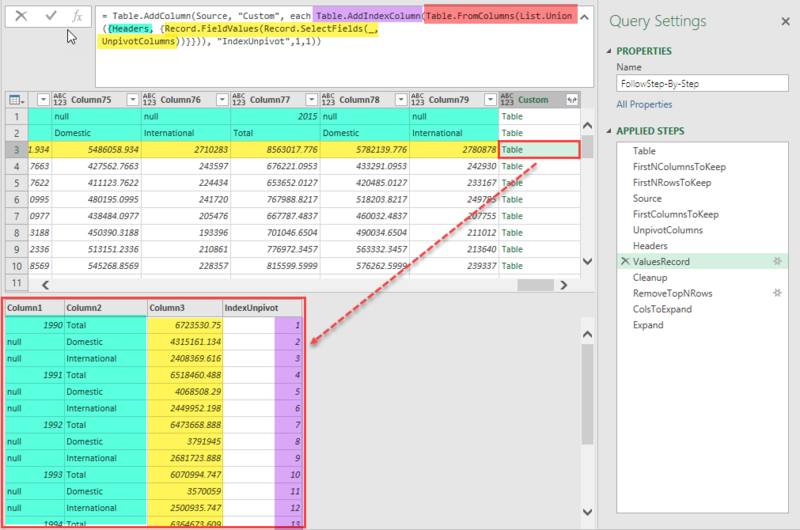 This is not only incredibly flexible (multiple header rows), but also very robust: You don’t have to care about changing column names for future refreshed or when you apply it to partitioned tables where the partitions itself have different column names already. The red arguments holds the magic that creates the table and transposes it in one go. Actually, I cannot remember why I’ve included that here. Maybe I was trying a different method first & then forgot to remove it. What value do i put in for “t”? 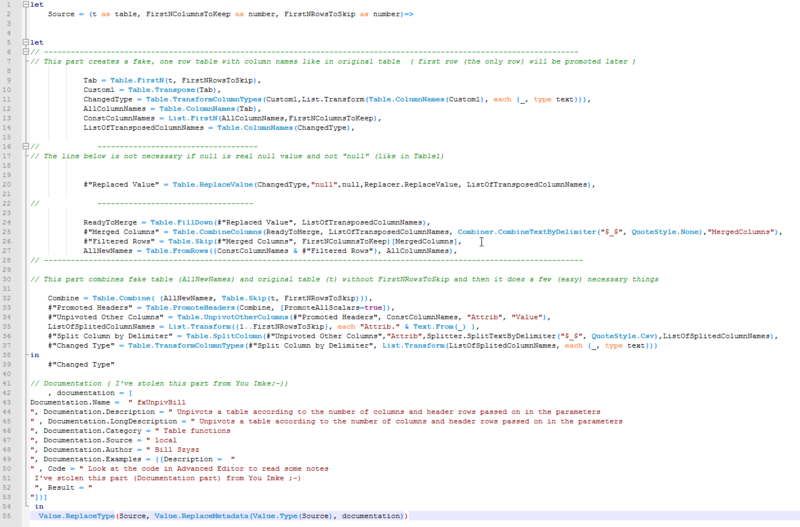 There goes the reference to the table you want to apply this operation on. It’s either the query-name, if you apply this as a new query, or the name of the previous step. Hello! Thanks for the help! Is there any updates on this with recent changes or newer versions of Power BI? ..just curious if there is any improved way or easier way, from then to now. No to my knowledge Jorge.